300 Riverfront Drive has a Walk Score of 65 out of 100. This location is Somewhat Walkable so some errands can be accomplished on foot. 300 Riverfront Drive is a five minute walk from the DPM Detroit People Mover at the Joe Louis Arena stop. This location is in the Downtown neighborhood in Detroit. Nearby parks include Dean Savage Memorial Park, Caron Ave Pumping Station Park and Centennial Park. Explore how far you can travel by car, bus, bike and foot from 300 Riverfront Drive. 300 Riverfront Drive has excellent transit which means transit is convenient for most trips. 300 Riverfront Drive is in the Downtown neighborhood. 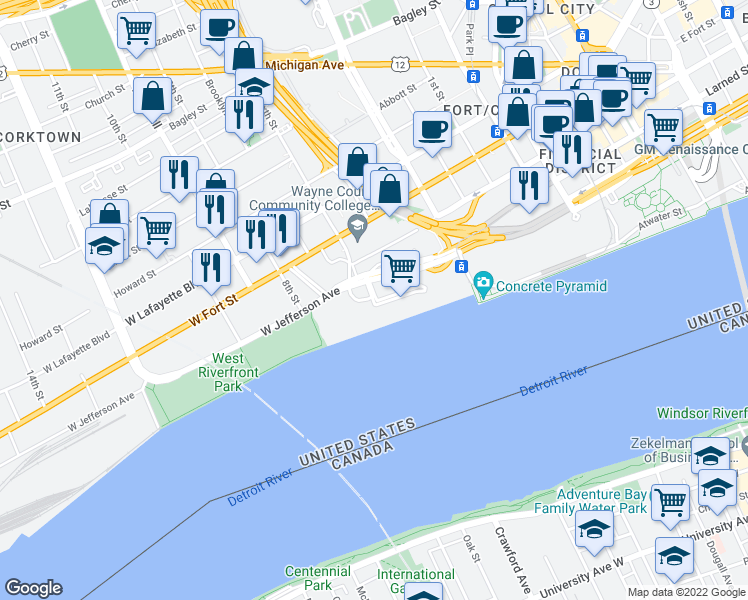 Downtown is the 2nd most walkable neighborhood in Detroit with a neighborhood Walk Score of 74.